There are a number of different types of motorbike insurance and each one covers you in different ways. Some offer more expensive and some are cheaper however what is most important is what’s covered in the event of an insurance claim. ‘Comprehensive’ cover is the highest level of insurance you can buy. It keeps you and your motorbike covered if there is an accident or incident that is your fault. Comprehensive cover will pay out for damages to your bike even if the accident was your fault. It also covers anybody else involved (also known as the ‘third party’) and their vehicles. This means that your insurance will pay for any repairs the ‘third party’s’ bike may need. Fire and theft cover are also included so if your bike is damaged due to fire, or it’s stolen, you will still be covered. Will it cover my medical expenses? Comprehensive cover will cover your medical expenses if you were the innocent party in the accident. If you would like to cover yourself even further, then you can add Personal Accident Cover. 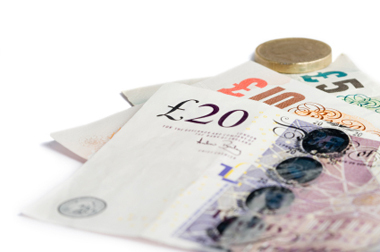 This will pay out compensation for any wages you may lose as a result of an accident even if it’s your fault. In some cases, it pays out if you are involved in an accident with an uninsured rider. Does it cover me if I break down? No. In order to be covered if you break down, you need to add breakdown cover to your Comprehensive insurance policy. This means that your vehicle will be mended at the side of the road or taken to a garage. Does it cover me for loss of earnings? Comprehensive cover will not provide a specific loss of earnings cover. It does provide what it calls out of pocket expenses’ but this is not necessarily a set amount for your earnings. Third Party, Fire and Theft cover does not pay out if you have an accident that was your fault, but it does protect the ‘Third Party’. That means anybody else involved is able to claim compensation for any damage caused by you. This type of insurance does cover you for fire and theft, so if your bike was damaged by fire, or was stolen, you are covered. Does it cover damage to my own bike? No. Third Party, Fire and Theft only covers the costs of other people involved (Third Party) and will not pay out for any damage caused to you or your bike. Third Party Only is the minimum level of bike insurance you are legally able to purchase. It covers the costs of damage or injury to another person (the Third Party) or their bike, but it does not insure you if you have an accident. It does not cover repair costs to your bike. These two categories are designed for you to inform your insurer of exactly how you use your bike. Social, Domestic and Pleasure will keep you covered for things such as visiting family or friends or going shopping; journeys you make for leisure purposes. It is not designed to insure you for travelling to and from a workplace. Social, Domestic, Pleasure and Commuting insures you for all of the above and travelling to and from your place of work. I’m a student who travels to college/university on my bike. Does this count as commuting? This is difficult to define as it varies from insurer to insurer. Some say if you travel to and from the same place every day, particularly in peak hours, then it does count as commuting. Others say commuting counts as a place of work or a place of study. You should check with your insurer beforehand because if you have an accident whilst, in the eyes of the insurer, commuting and you only have Social, Domestic and Pleasure, your insurance may be void. Do I need to add commuting to my policy if I study part-time? Again, this is fairly difficult to define. In some cases, it doesn’t matter how often you commute, if you do it at all then you need to add commuting to your policy. You have to contact the insurer directly to see what they define as commuting. Riding pillion is to ride behind somebody on their motorbike as a passenger, so if you are the bike owner and you intend to take passengers with you, pillion cover (insurance) is necessary. Won’t my insurance policy already cover any passengers? In many cases, your insurance policy does not insure you to take passengers so you must add pillion cover to your policy. If you want to carry passengers you must add pillion cover to your insurance policy or it will not be valid. Personal Accident Cover is an additional extra when it comes to insurance which means it comes at an additional cost. It provides financial assistance if you or any passengers you are carrying are seriously injured. It will also pay out for your family if you suffer a fatal accident while riding the bike you have insured, even if the incident is your fault. Generally, as standard, Personal Accident Cover covers you for death, permanent and total disablement and loss of limbs. Some policies will also cover you for partial disablement and temporary partial or temporary full disablement. Are there any instances where I will not be covered? • If you deliberately or dangerously put yourself in danger. • If your injuries are self-inflicted. • If injuries are sustained while you are under the influence of alcohol or drugs. • If injuries are sustained while committing or attempting to commit a crime. Different policies have different conditions, so it’s always worth checking what these are before agreeing to the cover. How much does the cover pay out? Remember that these examples are standard and the amounts will vary from insurer to insurer. Always check with your insurer to see what is covered and how much you are covered for. Personal Accident Cover provides a one-off fee in the event of one of the above incidents. It does not provide any continuous pay out for loss of earnings. Helmet and Leathers cover is something you can add to your insurance for an additional fee. 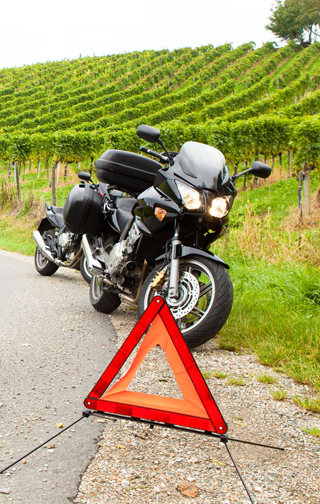 It will provide financial assistance if your riding gear is damaged in an accident. Next page: What insurance group is my motorbike in?